23 October 2017 Unlocked content from the archive. 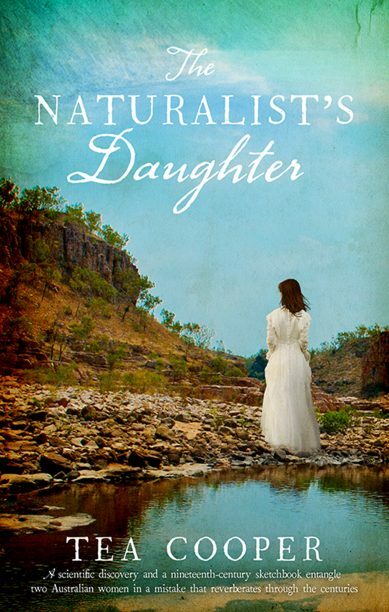 At the heart of Tea Cooper’s The Naturalist’s Daughter are the stories of two bold, inspirational women connected across history by a great scientific controversy—the classification of the platypus. This remarkable creature with the fur of a mammal and the beak of a bird was initially considered to be so improbable that it was dismissed by many as a taxidermist’s hoax. In the Hunter Valley in 1808, Rose Winton is studying the platypus and its habitat with her father Charles, a naturalist reporting back to Sir Joseph Banks and the Royal Society in England. A hundred years later in 1908, librarian Tamsin Alleyn is working on the authentication of Winton’s sketchbook, which has been donated to the State Library of New South Wales. Matters become complicated when she must negotiate with lawyer and would-be antiquarian bookdealer Shaw Everdene, and when the mysteries of her own family history begin to unfold. As the action alternates between the past and the present, Cooper unravels a complex tangle of family secrets and lies, resulting in an exciting, moving and satisfying read. This novel will appeal to bibliophiles, lovers of historical romance fiction, and those interested in Australian history, genealogy and natural history.